Personalized Care for Your Best Smile! You are important to Dr. Ronald Unterseher and the Unterseher Orthodontics team. Here we do more than straighten teeth and create beautiful smiles; we get to know each patient on a personal level, and build a trusting rapport that often becomes a friendship! Starting with your complimentary consultation, we’ll give you our full attention. We’re here to serve and help you achieve your best smile, and we’ll strive to make every visit the highlight of your day! What’s Different About Unterseher Orthodontics? Regardless of your orthodontic path — braces, Invisalign® clear aligners, or other treatment — our goal is to give you the smile you desire, and to make the process comfortable, efficient, and enjoyable. While each of us is an experienced professional, we’re also warm and people-centered. The transformations we see in our patients’ smiles, and the growth in each person’s confidence and self-esteem during treatment, inspires us. 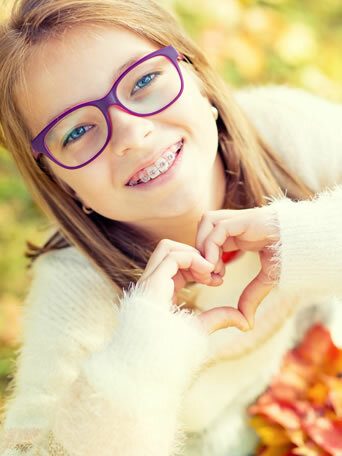 We’re excited that you’re thinking about orthodontic care and we can’t wait to meet you! The first step on your journey to a healthier, more becoming smile is a consultation at one of our two Denver-area locations. You’ll come to the office, meet our team, and sit and talk with Dr. Ron and our staff. Then you’ll have an extensive clinical exam, including diagnostic records, and Dr. Ron will create your custom treatment plan. We’ll review the plan with you, and explain what’s happening in your mouth, the treatment Dr. Ron feels is best for your situation, and all the options, including financing. We encourage your questions and will answer thoroughly and directly, to cover anything that’s unclear. We want you to be fully informed of what will happen, what to expect, and what you will need to do. This is your smile, and you must make an informed decision about care! We believe you deserve leading-edge orthodontic treatment that uses advanced techniques and technology. Through professional education, Dr. Ron and our clinical team stay current on the latest options, tp ensure you receive the perfect treatment so you achieve your best smile! We also believe you deserve courteous, helpful customer care. Whether we’re working with your busy schedule to find appointment times that fit, or developing a custom financing agreement that’s right for your family budget, we’ll make it work! Today’s a great day to start your journey to a great smile. Please contact our Westminster or Denver, CO orthodontic office and schedule your consultation. Everyone at Unterseher Orthodontics is excited to meet you. Call today!